PhD(Western Ontario 1970), DSc, LLD(QUB 1984, hc 2003), DSc(hc Waterloo 2004). President Emeritus, UL. 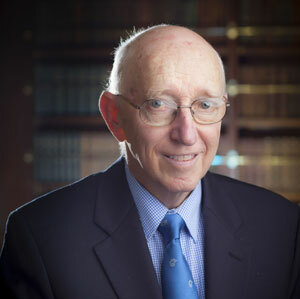 Professor Downer enjoyed a successful academic career as a teacher and researcher (neurobiology and agricultural chemistry) before becoming involved in senior academic leadership. Having served as Vice President (External) at the University of Waterloo and President of the Asian Institute of Technology prior to accepting the Presidency of the University of Limerick following retirement from this position, he accepted membership of several boards in Canada, UK and Ireland, including public, private and volunteer sectors and embracing such diverse fields as health sciences, economic development, education (early childhood, secondary and tertiary) and professional sport.